The Islands of Tahiti are where paradisiacal stereotypes are met and exceeded, and the best way to see it all is by island-hopping across this collection of atolls and archipelagos, scattered like confetti in the South Pacific. The largest island in French Polynesia, Tahiti is your starting point from which to flit from island to island (flights arriving into the capital of Papeete from Sydney, Brisbane and Melbourne). Linger here for a day or so to discover a lively social and cultural scene, with great food, colourful markets, dramatic black sand beaches and a lush tropical landscape to explore. Translating to ‘endless skies’, Rangiroa is the second largest atoll in the world, so its allures are myriad. The spectacular blue waters offer up some of the best diving in the world. Whether you are a seasoned diver looking for challenging dive spots or you simply wish to explore the lagoon, passes and reefs, you will find an underwater world of colour and beauty populated by abundant marine wildlife, from swarming schools of vibrant fish to turtles to dolphins and sharks. Settle in to a bungalow at Les Relais de Joséphine for a true local experience. 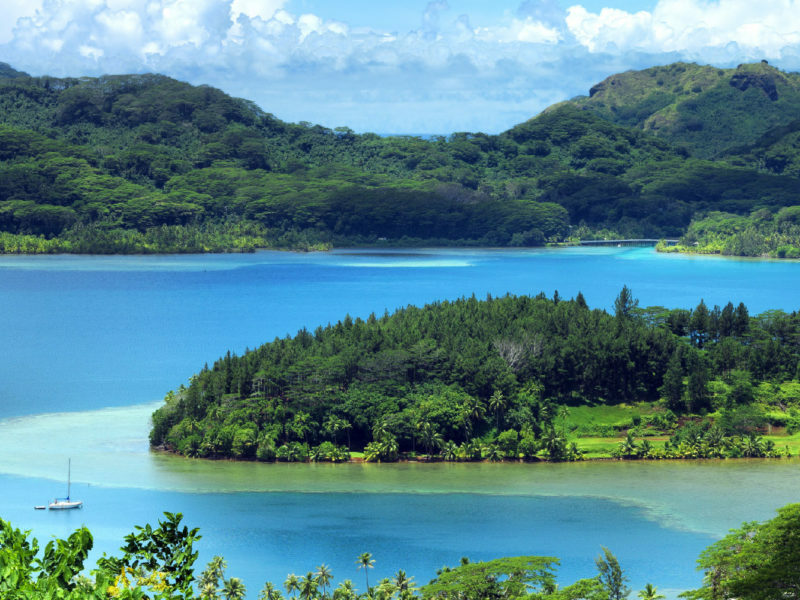 While much about a Tahitian Islands experience is restive, Huahine is the perfect choice for those looking for a little more activity, with something for everyone. Book into the small pension of Fare Maeva, and then strike out to experience everything on offer. The stunning natural landscape is ideal for trekking, hiking and horse-back riding in, or visitors can tour a local pearl farm to see how Tahitian pearls, revered around the world for their elegance, are harvested. And, of course, the water always beckons, with snorkelling and deep sea fishing. It is a quick 45-minute plane trip from Tahiti to Raiatea, another lush, idyllic proposition of endless sun and sand. Make the charming Raiatea Lodge Hotel your base, before heading out to gain a deeper understanding of the proud heritage of these spectacular islands. The UNESCO World Heritage site of Taputapuatea marae, an ancient sacred site estimated to be thousands of years old, is where islanders arranged hundreds of stones they believed held Mana, a mystical source of spiritual strength that has soothed the islands for millennia. 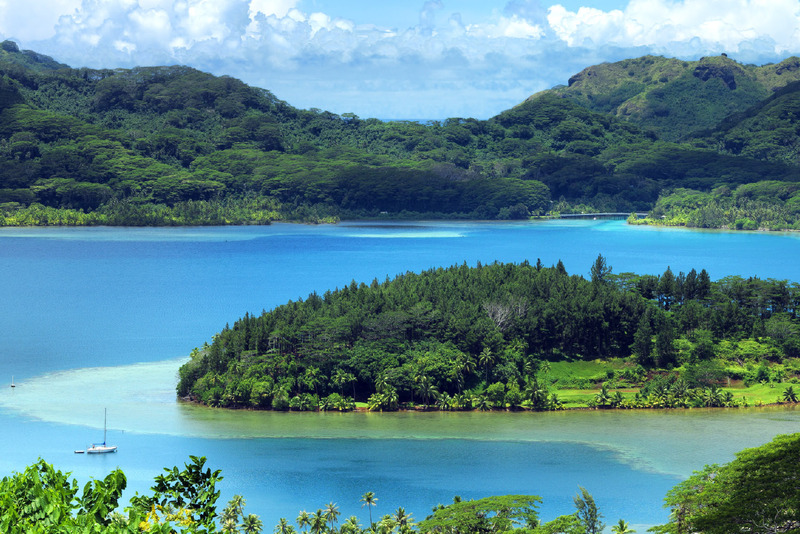 On the island paradise of Taha’a, 20 short minutes by boat from Raiatea, the world melts away completely. Time is meted by the rising sun and spectacular sunsets. Here you can snorkel in a coral garden in the pristine lagoon to discover a kaleidoscopic underwater world, and spend some time at a vanilla plantation to see how plump Tahitian vanilla pods full of sweet inky-black beans are painstakingly cultivated.